Junk files take up lot of space on Mac. Ofcourse not only are they useless, but also slow down your Mac. To make it worse, sometimes they can also cause errors and glitches,which is why it is important to clean junk files on Mac from time to time. Junk files can be application leftovers, cache, cookies, user log files, and internet temp files. For those who use Mac OS Sierra, need to be more careful as it backs up all the old and redundant data, thus before you know it you will be paying for useless files on your cloud storage. In this blog we will discuss steps on how to get rid of junk files on Mac. For those who do not have the patience to manually delete these files can also utilise software that remove junk files from Mac. Towards the end of the blog we will discuss about TuneupMyMac, a multipurpose software which will improve your Mac experience. Note: Before you carry out any manual process, please make sure you take a backup. Close all active and open Mac Apps. Click on Finder>Go> Go to Folder. Type” ? /Library/Caches” and press Enter to open the folder. There will be a set of folders. Open each folder and delete the cache from them. Delete all the files from Trash and restart your system again. Repeat the same process, however minus the ? to delete the system cache files. Click on Finder>Go>Go to Folder. Type “?/Library/Logs” and hit Enter to open the folder. Select all the files that you want to delete and press Command+backspace. Once all the log files are deleted, delete from your Trash and restart your Mac. Locate all the files ending with .Iproj. Each folder will have language files. Trash all the languages that you do not need. While these steps seem easy to follow, one has to be cautious about deleting important files and it is also time consuming. Thus as mentioned above, it is usually advisable to use software made to clean junk files on Mac. Not only would the software improve the performance and speed of the system but also save you time as a good software takes care of maintaining your system. 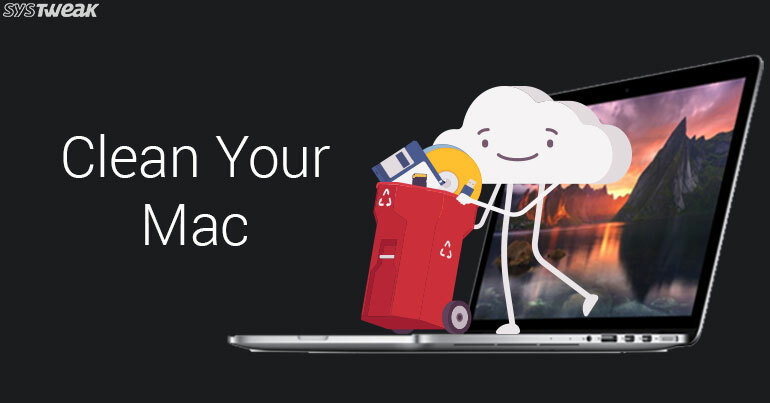 Let us look at how TuneupMyMac helps get rid of junk files and maintain a fast performing Mac. TuneupMyMac is a powerful tool with multiple functions. All the functions that you would have to do manually and which would take time, will be taken care of by the software with added feature such as security. TuneupMyMac offers advanced features like Cleaning, Optimization, Manual Cleaning and Security. You can use the software for Cleaning the Mac. Just one click and the software will run four tools to get rid of junk from your Mac. The tools will clear user cache and log files. It will get rid of the remains of apps that you have already uninstalled and the unused languages of the localized apps. This will not only save you effort but also a lot of time. When you open the App. Click on One Click Cleaning followed by Start System Scan. The app will scan your system and inform you about the junk on your Mac. Once the scan is completed, click on Clean Now. You can stop the scan by clicking on Stop Scan placed at bottom right. However, it is suggested that you allow the app to complete the scan. Run a System Cleaner scan to scan your hard disk for cache files. What may seem harmless initially, Cache files over time occupy valuable space of your hard disk and can also hamper the smooth functioning of your system. Your Mac maintains a log file to collate data for statistical analysis. Like cache files, these may seem of no consequence however they occupy a considerable part of the disk. The software can be used to clean log files in a jiffy yet safely. One of the best features of the software, App Optimizer is that, it gets rid of all the useless parts of an app. When you install an app, it may have parts meant for platforms other than Mac. Thus, TuneupMyMac retains parts that are relevant to Mac and gets rid of junk files. The software lets the user delete all the languages that are of no use. This creates considerable space on the hard disk. The software, as discussed above, also allows additional features like Optimization where in it offers Duplicate Finder, Uninstaller and Startup Apps tools. It lets the user do Manual Cleaning of the Mac by offering features like Internet Privacy, Misc Cleaning and maintaining Large Files. The Security feature has Shredder tool that allows the user to get rid of data on Mac safely, privately and permanently. We hope that this blog helped you understand how certain non-consequential files occupy relevant space on your Mac thus making it slow and prone to malfunctioning. Which is why it is important to clean junk files on Mac from time to time.